The law of conservation of energy says that energy can neither be created nor be destroyed. It just changes from one form to another. Everything in the world is energy. And naturally, we are affected by it. We can feel it all the time – positive and negative energy coming in contact with us. If we don’t take steps to control what kind of energy we interact with – we are not really going to lead a happy life. When we interact with energies, we are under the Law of Vibrating Energy. What does that mean? Since people, animal and even objects have some kind of energies in them, we can affect them, and they too can impact us. We are always under the influence of energies. How does it work? Think about the time when you may have come and stayed with a negative person for a long time. I bet however optimistic you were, the negative vibes of the person put you off and made you really sad. That’s the power of energy and you can’t deny it. It’s so powerful that it can turn the happiest person into a pessimist within a short period of time. So as a thumb rule, if you really find yourself stuck and in despair, check the people around you – chances are someone is really directing all their negative vibes at you. This is so subtle and it is such an invisible force that you might not even identify how it might be preventing you from getting what you wish. First, you shall have to pour the white vinegar into the clear glass. Add the water and granulated salt slowly into it and mix it up for a minute. Identify the room where you think all the negative energy is coming from and take the glass there and leave it in the open for a day. Examine the salt that you have put in the mix. Generally, the salt is supposed to rise. However, if there is negative energy, the water will try to get it in and the weight of the negative energy will make the salt heavy and it will settle at the bottom. Once you believe that the negative energy has been sucked into the glass and the room is cleansed, check the glass. You’ll see that the salt is settling at the bottom of the glass. Get the glass out of the room and make sure that you dispose of it somewhere outside. That will keep the negative energy out and let the natural positive energy come in and replace the negativity. But DO NOT throw the water inside your house, like in the sink. That’ll just release all the trapped energy and they will again settle in the room again. If you think that there are other rooms that have the presence of negative energy in them, then you can do the same process there. Sometimes, we need to know how to use home ingredients to keep ourselves and our homes safe from all the negative energy. Try this out and you’ll see the effects immediately. The first step in achieving your goal is to have a positive outlook on life. Just go get what you want! We are prisoners on this earth, as we all have same belief with extraordinary mindset “we” or “I” doesn’t belong here. Then where should we belong, what is that which attracts to move where we belong, but sorry no one knows the mystery behind and in which direction need to move. If you were belong to this place (earth) you should never be ill and never be a part of chronic disease which is cause by feelings, environment & food, why entire mankind is surviving not existing, so do you think you are in prison and not free from all. That’s the main reason all our Guru’s, Saints, Mahatmas, and Parents, lead us to direction for Moksha – [Nirvana] so still the question is same where does we the (I) belong, where does the place belongs in space and who will guide us to reach that place, just one thing to analyze this we need to in past where there is space where our “karma” stays. what we condemned till now and on which basis our imprisonment is hear. isn’t it that memory is been easily erased, or try to follow the rules of prison and behave better. In some religious ceremony, all dharma gurus, or god people spread the word of “Seva” help others, if you decode that a simple meaning- you can judge yourself how much years of prison you get, and also where you stand on the map to move in which direction. It has been dubbed the Ajna Chakra, the third eye, the seat of the soul, The Eye of Horus and many other names in a myriad of cultures. It is the pineal gland. The word ‘pineal’ derives from the Latin pinea, meaning ‘pine cone’ which references the pine-cone like shape of the gland. It is a small endocrine gland about one centimeter in length situated right in the center of the brain, and it’s consciousness-related properties have been little understood in terms of most scientific thought yet revered, intuitively understood, and intentionally activated by ancient cultures across the globe and throughout history. The pineal gland, often associated with the ‘third eye’, center of consciousness and knowing, has not only been a pinnacle of spiritual technology and practice but has been heavily depicted in the symbolic art of such fascinating and advanced civilizations as the Sumerians, Egyptians, Hindus, Greeks, Chinese and more. It is treated differently by each people group yet a common thread seems to weave a tapestry of an almost universal understanding of this powerful center of consciousness. Most all cultures seem to in some way depict this gland and this central area of the brain in association with enlightened consciousness, higher energy centers, spiritual sight, dream states, creativity, and intuition. Here we will take a look at some interesting facts about the pineal gland through the eyes of three different cultures; Hinduism in India, Ancient Egyptian Spirituality, and modern science. Although ‘science’ would not traditionally be considered a culture, in many ways with it’s dogmas, cast of important characters, and long spanning transformative history, it represents a sort of culture in and of itself. By looking at both cultural depictions and scientific understanding, one can observe that references to the metaphysical properties by the ancients were clearly based on real practical knowledge rooted in the physical world as well as first-hand mystical experience. In India, knowledge and practical application of the mystical science of the entire Chakra system dates back thousands of years. Spiritual and medical systems, which were intrinsically interconnected, such as Ayurveda, closely associated the 7 main Chakra centers with the endocrine glands of the physical body. 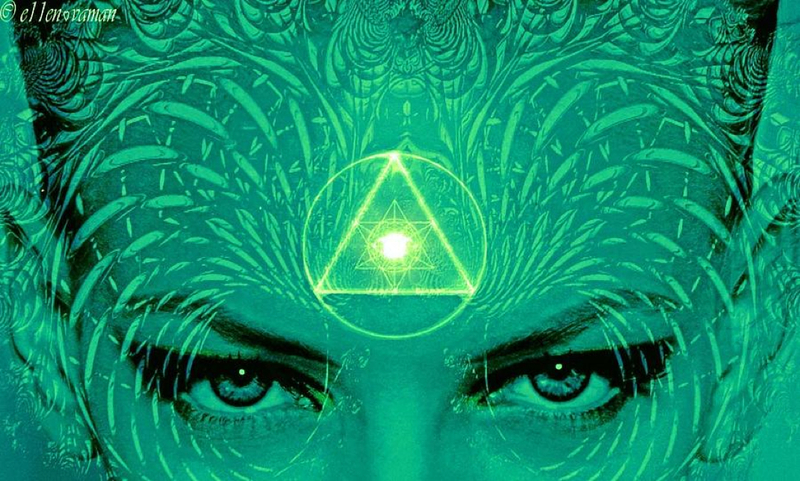 In art and sacred texts alike, the sixth Chakra or third eye ‘Ajna’ Chakra was located in the forehead in the immediate proximity of the pineal gland. In Ayurveda, the ancient Indian science of health and wholeness, oil massage is a prized and widely used therapy applied to patients for healing on many levels. One technique called Shirodhara is a 6,000 year old “massage for the pineal gland”. One writer calls it, “the king of all healing treatments…surgery of the subconscious mind to amputate negativity and to expand your consciousness.” In the treatment an unbroken stream of pure warm oil is drizzled steadily onto the middle of the forehead in the location of the third eye, suggesting the importance of this center in Indian culture. The word Chakra itself is a Sanskrit word used by the Hindus meaning “wheel of light”. 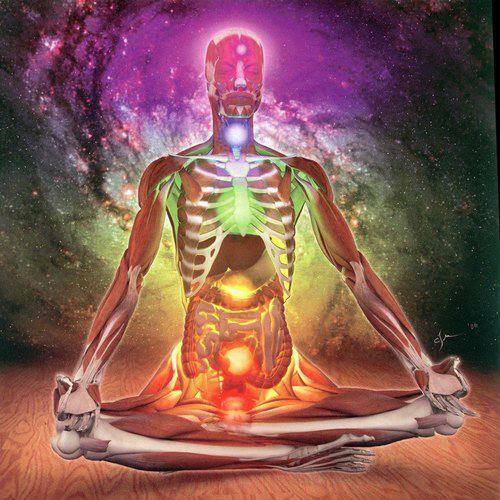 The chakras were understood to be energetic centers which processed energy in different frequency bands. The sixth chakra- the pineal center, is associated with the processes of spiritual sight, intuition, imagination and an elevated state of conscious functioning. In Sanskrit this chakra center is named Ajna meaning ‘command’, ‘summoning’, ‘authority’, or ‘knowledge’. The famous Hindu deity Shiva is often depicted with an eye in the center of his forehead. Shiva represents the energy of destruction and regeneration. It’s said that when he is angered, he shoots flames from his third eye pineal center. Clearly the ancient Hindus understood the correlation between this gland and the non-physical energy of the ‘third eye’ as a center of enlightened function. The pineal gland was focused upon artistically, spiritually, and in healing and meditation practices throughout India. Totally unique to Indian and Hindu tradition and in an altogether different region of the world, the ancient Egyptians incorporated their own unique relationship to the pineal gland into art, spiritual practice, and culture. One of the most obvious connections one can draw between archetypal Egyptian symbology and the pineal gland is in the countless artistic uses of the famous Eye of Horus. The Eye of Horus symbol is almost the exact same shape as a cross section of what the pineal gland looks like resting inside the thalamus and corpus collosum in the mid-brain. The Eye of Horus, called by a number of names such as The Wadjet, Ujat, meaning ‘the whole one’, and The Eye of Ra, was a powerful symbol frequently fashioned into jewelry made of lapis lazuli, gold, silver, wood, carnelian, and other natural materials. It is considered the ‘all seeing eye’ and was believed to protect the wearer from harm of all types. The ‘all seeing’ quality of this eye which has been widely likened to the pineal gland is in close correlation with the alleged metaphysical properties of this gland. Because this center is energetically attributed with ‘sight’ beyond the physical plane and the heightened conscious state of ‘knowing’ one can easily see the Eye of Horus as a depiction of the pineal gland. 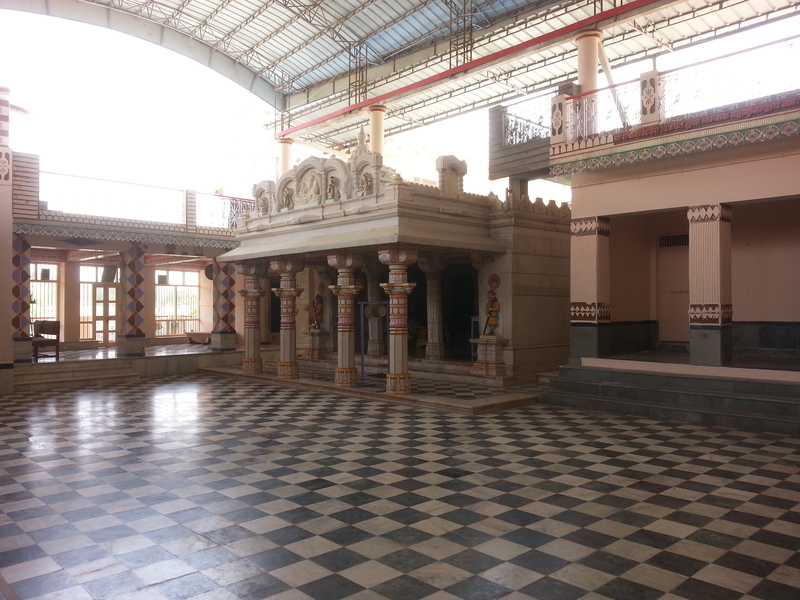 One hall in the top portion of the temple corresponds to the optical center of the brain. The hall is lined with twelve columns. Interestingly the optical nerve consists of twelve bundles of nerves. Above the optical hall there is a room consisting of three interlocking chambers apparently correlating with the higher glands in the brain. Represented in the center of this triple chamber is the pineal gland. This is also seen in frequently depicted image of the rising cobra in the foreheads of the pharaohs, which signified the awakened third eye or activated pineal gland. The pharaoh’s were understood to be humans in a perfected state. This further builds the understanding of the pineal gland as a center of a heightened state of awareness and elevated level of function; what could and has been referred to as enlightenment. The Egyptians are revered for their advanced and beautiful civilization and their understanding and utilization of the pineal gland’s extraordinary spiritual features could be a significant explanation for their amazing intelligence and culture. It’s nearly effortless to draw a wealth of information about the pineal gland and it’s associated energetic functions when studying advanced ancient cultures, but is there any empirical foundation for such concepts? The answer is surprisingly, yes. It is first interesting to note that earlier in our human evolution, the pineal gland may have actually been much more like an eye than it is now, with the opportunity to develop structurally and functionally in that direction. In fact some other species such as certain reptiles possess what is known as a parietal eye situated on the top of their foreheads which has the ability to sense light and movement. When pineal tissue is developing in utero, it contains the same pre-cursor cells which have the specific ability to form eyes. The best understood neurotransmitter produced and regulated by the pineal gland is melatonin, a substance utilized by the body in regulating sleep-wake cycles. The pineal gland uses non-visual photoreception to accomplish balance of natural circadian rhythms. Perhaps the most prominent researcher in modern times to dive into the mystical properties of the pineal gland is Dr. Rick Strassman, author of “DMT The Spirit Molecule”. Strassman ultimately spent 5 years administering exogenous DMT (Dimethyltryptamine) to volunteers in a clinical setting. His research was inspired by the intriguing connections he began making between altered states of consciousness and the activity of the pineal gland. As previously mentioned, the pineal gland has mostly been looked at as a structure of the brain whose primary function was to release and regulate melatonin. Strassman, however, spent years researching the role of another neurotransmitter produced in the pineal gland- dimethyltryptamine, which is a psychoactive chemical only released during pivotal times of high stress in the human experience. DMT is only released in the body during birth, death, trauma, and certain altered states of consciousness. Strassman ultimately hypothesized that the pineal gland, with DMT as it’s facilitating vehicle, is the gateway of the soul into and out of the body. Dr. Strassman noted that it is in precisely the 49th day of gestation in the womb that a human embryo develops the pineal gland and also becomes a distinct gender. Amazingly, the Tibetans believe that the period required for a soul to be reincarnated into the physical dimension is 49 days; a striking link between science and spirit. Nearly all of the volunteers in Dr. Strassman’s study who were administered DMT experienced unique but highly correlated experiences in which, without fail, they perceived the separation of their consciousness from their body and very vivid interactions with other-dimensional beings of all sorts. Some experiences were beautiful and euphoric, some were frightening or confusing, yet all were very real and nearly every subject reported that the experience changed their life forever. Many expressed that it imparted peace about their destination after this physical life. Thanks to Dr. Strassman and other information we have about the chemical and physical features of the pineal gland, we see that even from a scientific standpoint, the pineal gland contains a sort of gateway into other dimensions and mystical states of consciousness. One can see how science is uncovering fascinating evidence of what ancient cultures have known about the pineal gland for thousands of years. Depicted in art, intrinsic in spiritual practices throughout the ages, and understood by cultures worldwide, the pineal gland is a center of the human body existing in many dimensions of reality simultaneously; a house of the spirit, a gateway into higher realms, and a center for intuitive knowing. 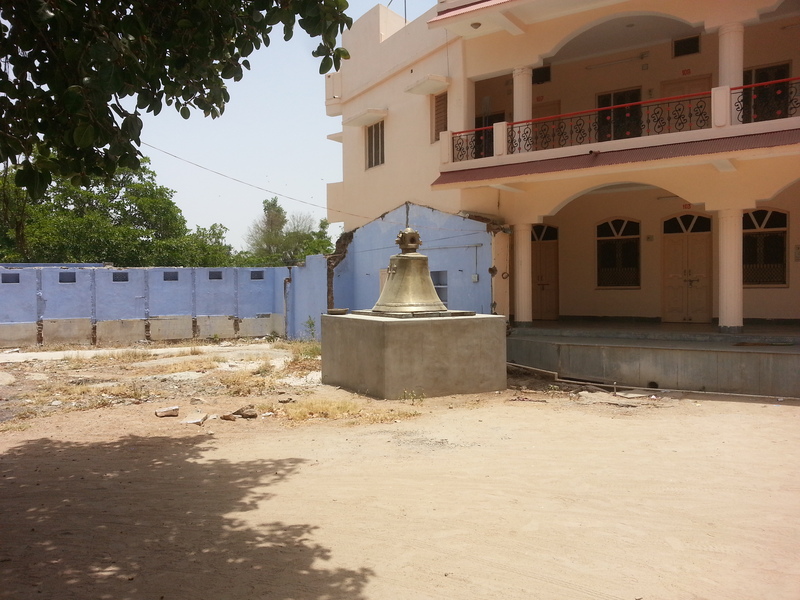 Sri nathji ka dalicha, nath sampradaye akhada Bhavnagar Talethi, Junagarh tatha Girnar parvat par Goraksh tok gufa and Bhartrihari Gopichand gufa E..
Sri Gangeshwar mahadev mandir,Jhajhri taam, teh.Bayad, distt. Sabar Kata, Ahmedabad se 40 km. Sri Gorakshnath mandir Tankarnathji, main. Vivipura, teh.Bayad, distt. Sabarkata, Ahmedabad se 40 km. 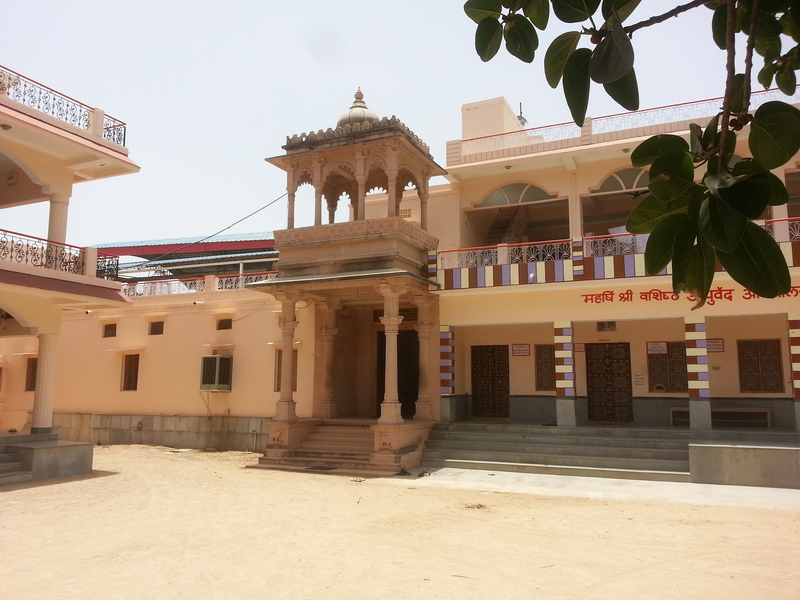 Sri Gajbeli Gajkanthadnath mandir, main po. 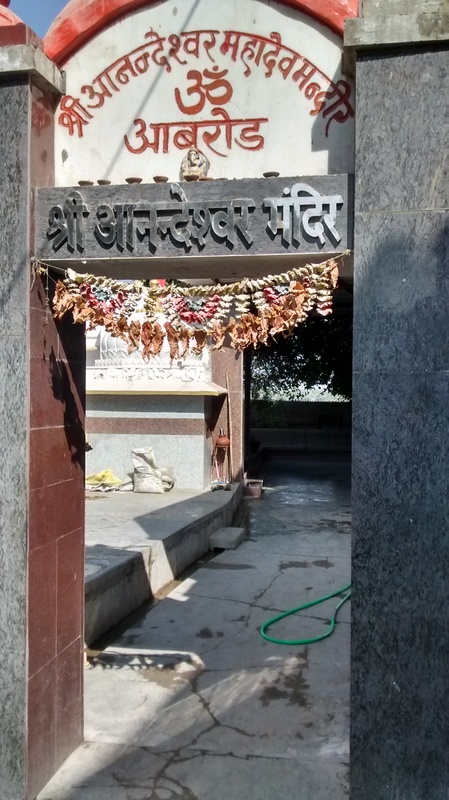 Vadiya Devli, distt. Amroli. 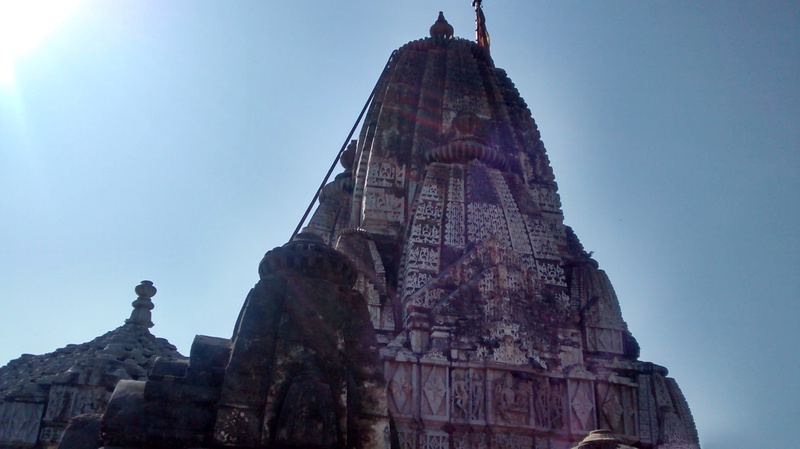 Its a very wonderful temple of Shri Lord Vishnu Bhagwaan, it is situated near Abu road – the place is very beautiful and in remote location named “girivar”, anyone can enjoy good natural atmosphere over here. Also very old history regarding the temple. 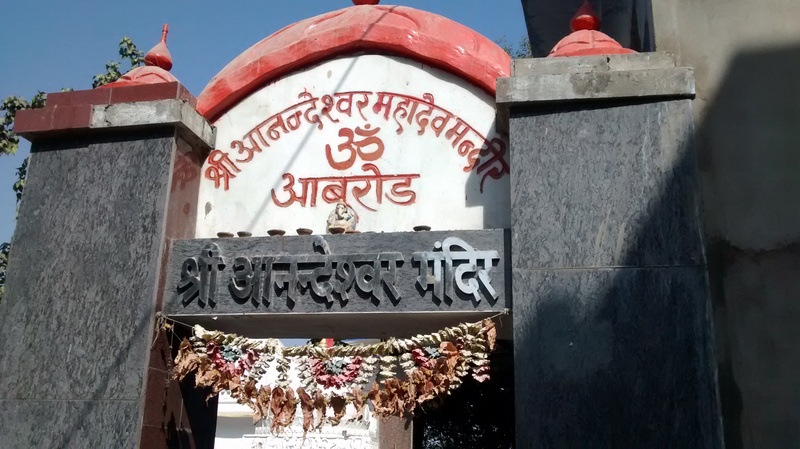 Also there is a big Ayurvedic hospital (Aushadhalaya), Almost all types of diseases are cured over here, the best example is Guru Anant Shri Vibhushit Brahmchari Shri Yugalsharanji Maharaj (Ayurved Marmgya). He is master of all ayurvedic medicine and proper sytematic medication as per old times from the Guru Vashisth Munivar. Recitation of the following sacred mantras will bring about transformation of consciousness and a closer personal relationship with the aspects of Maha Kali. Each Mantra is preceeded by “Om” and is concluded with “Svahaa”. The Indian and Tibetan pantheon is full of female deities and demons that are variously classified as dakinis or yoginis. Sometimes, these terms are applied to an individual, at other times to whole groups of 6, 8 or 64 female deities. However, reading Tantric and other sacred texts, we also find the very same terms applied to certain historical figures; to (once) living women. The following two definitions of these Sanskrit terms give a broad outline of who and what these women and deities are, further hypertext links will go into more detail regarding each of these groups and the manifold usage of these two names and titles. Looking at these two types of deities from a Western point of view, where goddesses often occur in triple forms representing the virgin, mother and crone phases of many women’s lives, it can be said that the yogini represents a younger type of female energy (like that of the princesses in the Tarot) than the dakini, who often represents characteristics and attributes more typical of the ‘wise old woman’, the crone or hag. Such Jungian-style interpretation, however, makes no sense anymore when one realizes that many of these goddesses seem to belong to both categories, or – the other conclusion – that these Indo-Tibetan categories are not as rigidly defined as the Western mind often wishes or demands. It is therefore that one can find, for example, that the famous Vajra Yogini belongs to the group of semi-wrathful dakinis. “Those who really understand the greatness of Yoga, and obtain it thru practice, and by the help of a kind Guru, are emancipated. “When a Yogi has awakened the Kundalini (Mother God) by practicing the Mudras, then Prana moves thru the Sushumna, and having aroused all the Chakras, the Yogi arises above all Karma, and is then freed from cause and effect;—that state is Samadhi. “The mind is the cause of Karma; when the mind and Prana (its moving power) is controlled by daily practice of Mudras. then the lower mental activity ceases. The higher self then manifests. Yogi attains the unchanging state. He is master over time, matter and space;—that state is Samadhi. When the mind is poised, the Prana moves in the Sushumna, and real realization is obtained. Why should one fear death, as they are above decay and death? No one can attain wisdom as long as the Prana and mind are not controlled. He who controls the Prana and mind attain liberation. The human body has a great number of Nadis, the three main ones,—Ida and Pin-gala on each side of the spine, the Sushumna in the middle. The Prana moves thru the Ida and Pingala only; the Sushumna being closed. When Yogi learns the secret of controlling the Prana and Apana, then he can awaken the Kundalini, and force the Prana to go thru the Sushumna. When this has been accomplished—Samadhi follows. All other means are waste of time. Thus Yogi should not follow other means if he desires to awaken the Kundalini and reach Samadhi. The mind is the master of the organs of sense, the Prana is the master of the mind. When the Prana and the mind are under control the Yogi attains blessed peace, which can only be known by experience. The lower mind is ignorance itself. When the mind is controlled, ignorance, which is the Mother of Maya (illusion), dies. The Yogi attains Samadhi or the state of Brahma. Every one wishes to attain the Laya Yoga, but it is difficult to attain. To do so the Shambhavi Mudra is the best to practice. This Mudra cannot be attained until the Prana and the mind are controlled; then Shambhavi Mudra should be practiced as it raises the Yogi above time, matter, space and ether. He controls the power of nature’s forces, as levitation and walking on water, and he can live as long as he desires. but this is not the object of the Hindu Yogis. Their object is not to attain wonderful powers. but Seedless Samadhi—the Brahmic state—which is above all other states; it is divine peace and common to all. When the Yogi succeeds in controlling Prana, from the Ida and Pingala Nadis, and makes it go thru the Sushumna, he has reached the state wherein he experiences TRUTH, which is the Light of Lights, and is the Source of All. This is the goal of all. Yogis practice different Mudras to control Prana. When Prana is controlled and made to move thru the Sushumna, the state of Samadhi follows. This is the correct method When Yogi desires to cheat death and time, he raises the Prana up to the Ajna Chakra, placing the Prana and the mind in the Kundalini, then by steady meditation Yogi moves the Kundalini. He then places the Atma in the Brahma and Brahma in the Atma. He is then in Samadhi—ALL in ALL. “Salutation to Sushumna, to the Kundalini, to the Stream of Nectar flowing from the Moon. 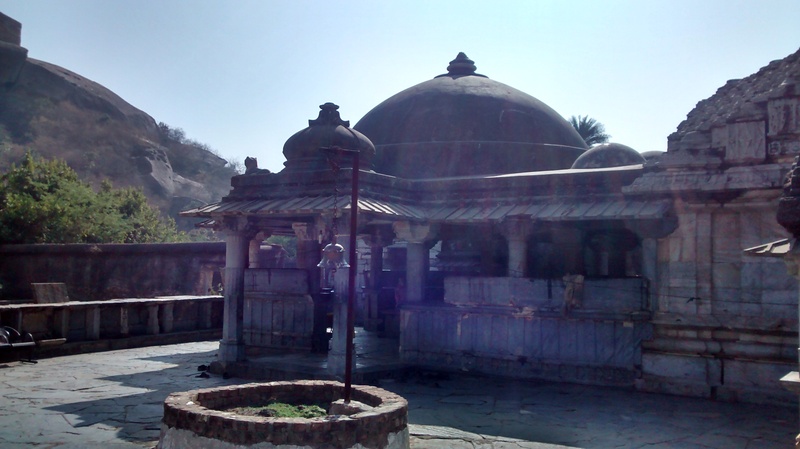 Please have a look to the pics of places which is describe in the book “Aghor Nagara Vaagey” by Shri Mohanlal Agrawal. For those people who might not able to reach the places, but have desire to see. 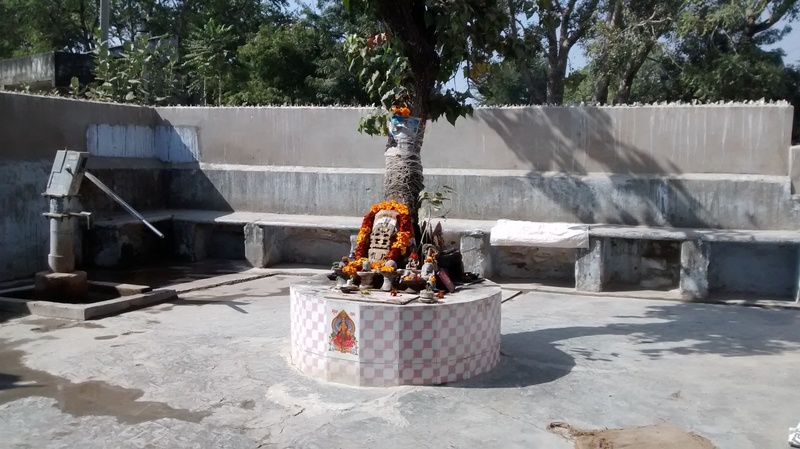 Starting with Anandeshwar Mahadev – ABU ROAD.